This is the most recent information about Dan Seals that has been submitted to amIright. 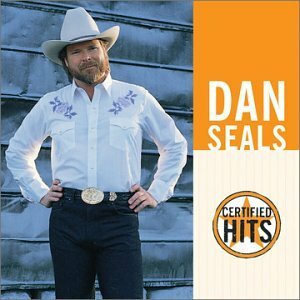 If we have more information about Dan Seals, then we provide a link to the section where it appears (the actual page whenever possible). "My Old Yellow Scar" originally "My Old Yellow Car"
"My Old Yellow Care" originally "My Old Yellow Car"
"My Old Yellow Carb" originally "My Old Yellow Car"
"My Mold Yellow Car" originally "My Old Yellow Car"
Would explain why it's yellow? "My Cold Yellow Car" originally "My Old Yellow Car"
"My Old Yellow War" originally "My Old Yellow Car"
"My Old Yellow Jar" originally "My Old Yellow Car"
"My Old Yellow Cab" originally "My Old Yellow Car"
"My Old Mellow Car" originally "My Old Yellow Car"
"My Old Yellow Can" originally "My Old Yellow Car"
"God Must Be a Cowboy"
Country song, so he’s probably talking about a woman who done him wrong and her name is Fay Ray Jones. Sounds like Fay Ray is a real player. Don’t date her. "God Must Be A Cow, Boy" originally "God Must Be A Cowboy"
"O God, A Musty Cobweb" originally "God Must Be A Cowboy"
"My Cold Yellow "R"" originally "My Old Yellow Car"
"Eye Old Mellow Car" originally "My Old Yellow Car"
"I Mold Yellow Car" originally "My Old Yellow Car"
Sand Deals originally "Dan Seals"